City officials had advocated for a seven-mile buffer. Instead, the state is proposing to allow drilling within 1,000 feet of tunnels that carry water to New York City. The latest draft of guidelines for hydraulic fracturing in New York could open the door to drilling within 1,000 feet of aging underground tunnels that carry water to New York City—a far cry from the seven-mile buffer once sought by city officials. The draft environmental impact statement, released last week by state officials, is a crucial step toward allowing high-volume hydraulic fracturing, or fracking, in New York. The gas drilling technique was put on hold three years ago so the state could assess any environmental effects of the practice. If the proposal is adopted in coming months, the state would allow drilling near aqueducts but would require a site-specific environmental review for any application to drill within 1,000 feet of the water supply infrastructure. That's not enough to protect New York City's water, said Kate Sinding, a senior attorney with the Natural Resources Defense Council, which is based in the city. City spokesman Farrell Sklerov wouldn't say whether the city's position on the buffer zone had changed, only that officials are updating their recommendations. When the state advanced a similar proposal two years ago, city officials said it could expose tunnels to damage and allow explosive gases and pollutants to leak into the water. 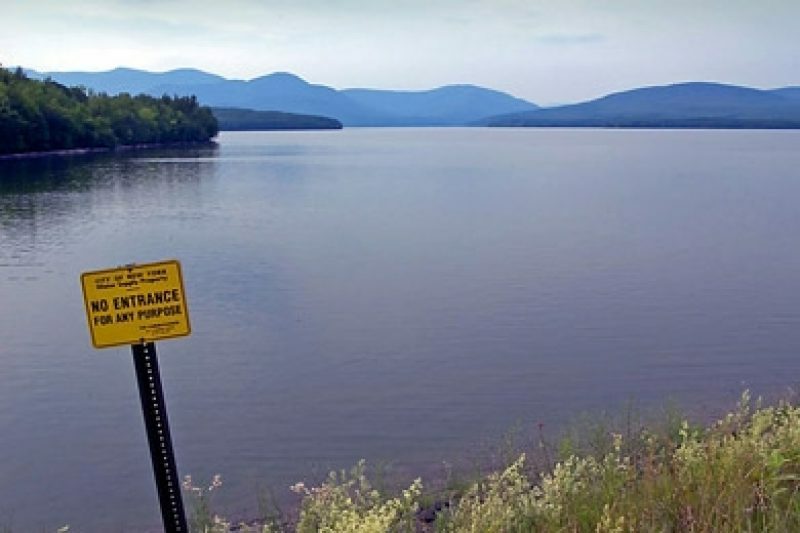 State spokeswoman Emily DeSantis said a separate proposal to prohibit drilling in the New York City watershed was enough to address the city's concerns about threats to the water supply. John Conrad, a spokesman for the Independent Oil and Gas Association of New York, an industry group, said the guidelines' provision for drilling near infrastructure was adequate to ensure safety. "It seems to be more than would be necessary to be protective,” he said. At the center of the debate is a system of tunnels constructed in the mid-20th century that carries 1.2 billion gallons of water a day from upstate reservoirs to New York City and nearby counties. The network is already fragile—tens of millions of gallons of water leak out each day. One repair project is expected to cost more than $1 billion. In comments on a previous draft of the state fracking guidelines, the city said brittle rock surrounds many of the tunnels. Drilling nearby could shift the earth, exerting pressure on tunnel walls that they weren't designed to withstand. Natural fractures extend as far as seven miles out and 6,000 feet down through the earth; gases and fluids already have a tendency to migrate through those fractures and toward the aqueducts, according to the city. These geologic features, together with drilling errors like the ones that have contaminated water wells in Pennsylvania, "could result in significant surface and subsurface contamination,” the city wrote. Though state environmental experts have concluded that gas, natural fluids and fracking fluids—a mixture of water, sand and chemicals used to crack open the earth—would not migrate beyond the targeted rock, city environmental officials have argued there isn't enough evidence to prove this couldn't happen. This debate is at the center of the disagreement. The city and state use a similar 1,000-foot zone to govern the drilling of geothermal wells near the infrastructure. The state has said this policy should apply to gas wells, too, because fracking occurs thousands of feet below the tunnels, which would isolate any effects. The city, however, has expressed concern that the pressure exerted by fracking could alter pre-existing faults and damage the tunnels. Moreover, city officials have said there are areas where the Marcellus Shale, the zone of rock the drillers are targeting, is in direct contact with the tunnels. The shale is deeper to the west and south but nears the surface in parts of New York. In addition to banning drilling in the New York City and Syracuse watersheds—both of which provide high-quality, unfiltered water—the state has proposed setbacks of varying distances from these watersheds and other sensitive areas where drilling would be prohibited. Drillers who want to sink a well within 1,000 feet of the aqueducts would need to conduct a study to identify whether drilling poses significant adverse environmental effects. 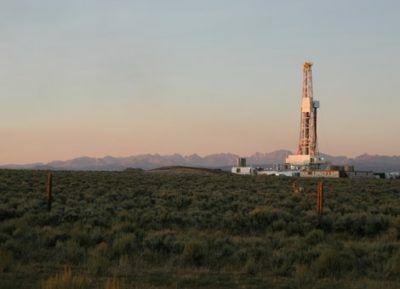 If any potential effects are identified, the driller would need to initiate a full environmental impact study before drilling could be approved. The state has said it would not approve drilling unless the city is satisfied, but the state would hold ultimate authority over whether drilling would proceed. Sinding worries that the layers of protection guaranteed on paper won't get much use in practice. A similar process has existed for conventional drilling in sensitive areas for more than two decades, yet the state has never required the full review, she pointed out. The 60-day public comment period on the state's proposals is scheduled to start in August, after which officials will issue final guidelines, a process unlikely to be completed this year. Drilling cannot begin until the process is complete.